It has been a long time since I’ve posted regularly to YouTube, but one of my goals for 2019 is to revive my old channel. Many readers of this site found me because of YouTube. I was one of the originals who was posting training videos 10+ years ago. At the time, YouTube was still in its infancy. Times have certainly changed and the site has evolved, so I look forward to becoming an active member of the YouTube community again. 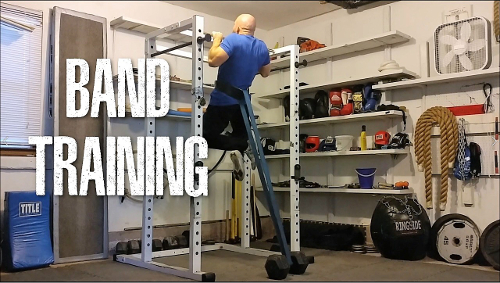 With that in mind, you can find my latest video below which focuses on resistance band training. You’ll see me demonstrate a variety of exercises using my old Iron Woody Fitness bands (available here). I’ve trained with resistance bands for many years. 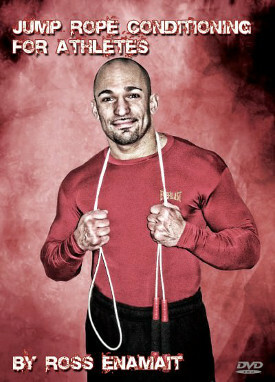 They are great for me as a coach who often travels, but also provide a great way to spice up your gym training. Bands also tend to be forgiving to the body which is nice for those of us in the 40+ crowd. To keep track of my latest YouTube videos, be sure to subscribe and pay particular attention to my newest playlist (see link below). For now, I will be adding all new videos to the 2019 playlist. Loved your video and technique of doing of Band training!! Thanks for uploading such videos. Hi there Ross, you’re the man! I also use it for dips as well. Like you do your pull ups. It is anchored to the heavy dumbbell.